Bike trails were popular in Yoyogi Park. The main trails had people getting some speed up but some areas were cordoned off for kids to use. This person was compromising and taking their kids for a ride in the park. The bike seemed perfect for the job. 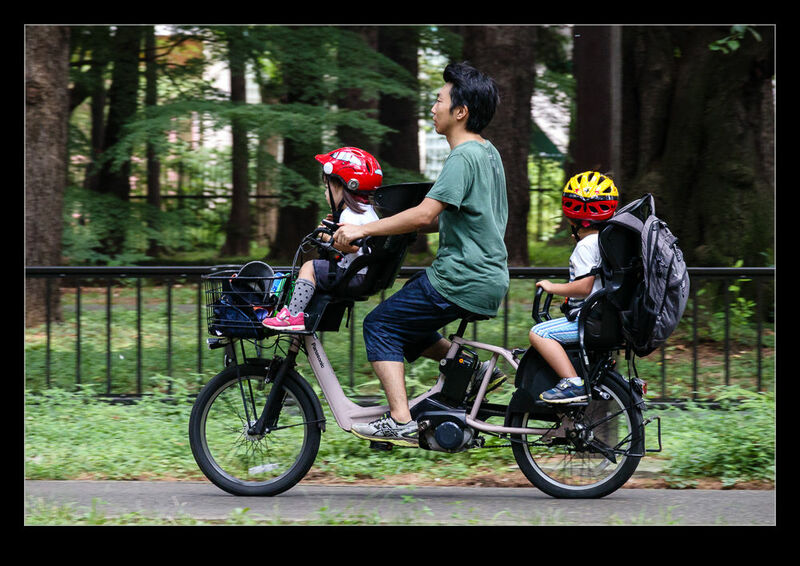 This entry was posted in photo, Travel and tagged adult, bicycle, Bike, Japan, kids, photo, sport, Tokyo, Yoyogi park. Bookmark the permalink.